This is another movie I knew nothing about, but DVRd on a whim off of TCM. Turner Classics is great for finding stuff like this, even if stuff like this isn’t always great. Anyway, it is a bit unique in that Boris Karloff gets to play the good guy for once – at this point in his career he was pretty well entrenched as Frankenstein’s Monster already. 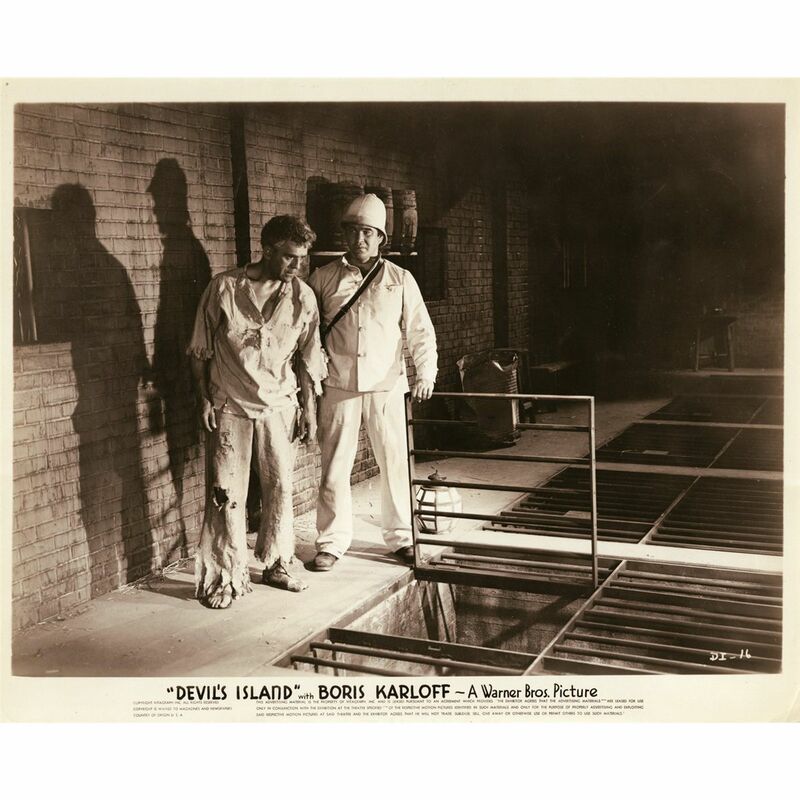 I watched DEVIL’S ISLAND (1939) on 6.19.15. It was my first viewing of the film. This is a movie which is mediocre, watchable, and forgettable. DEVIL’S ISLAND isn’t bad. 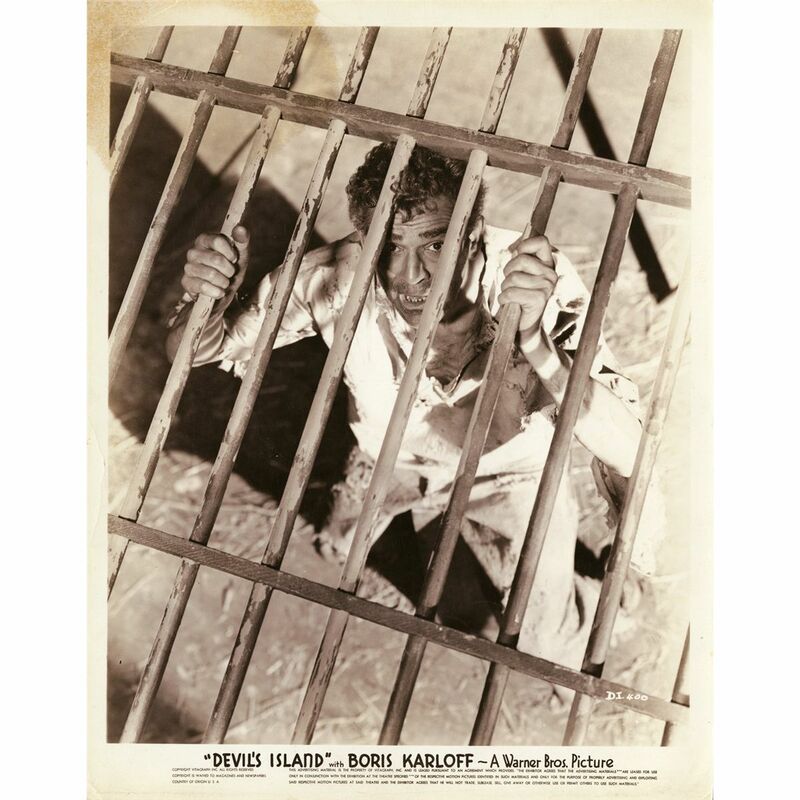 It’s a 1939 film about a Doctor Gaudet (Boris Karloff) being wrongfully sent to a French penal colony to serve a ten year sentence. A famous brain surgeon he does a kind favor for the warden of the island, Col. Lucien (James Stephenson) which is not repaid in kind, to say the least. The titular island was a place of horrors which was visited most famously by the film PAPILLON. While that movie is exciting and interesting, DEVIL’S ISLAND just sort of exists as this movie with a generic plot and not much mustard. Gaudet leads an escape which doesn’t go as planned, and the resulting fallout serves as the last six or seven minutes of the movie when a better script might have seen it as the opportunity to get things going. But this is a B-movie – just over an hour in length – and there isn’t much depth here. The visuals are sometimes nice, seemingly by accident at times, but mostly the camera stays stagnant and bounces between wide shots and close ups in a predictable pattern. Some of the editing in the informational and montage scenes is downright rapid even by Michael Bay standards. Something hardly has a chance to pop up before it goes away faster than our brain can register it. All of which serves to make this feel like a movie made in an era of filmmaking when people who didn’t know what they were doing were making films. But I don’t mean to knock this too hard. Karloff does very well as the hero. He is likable and vigorously righteous. The story is good enough, and the pacing works to keep our attention. There is a scene in a swamp – short as it might be – which feels like the sort of thing which would be in a good movie shot on location. Another bit with gasoline not being what it should also works. But there aren’t too many memorable moments to be found here. This is a short review for a short movie, but suffice it to say that DEVIL’S ISLAND isn’t one you need to seek out. ~ by johnlink00 on June 19, 2015.